Girder grid expansion joint is a new type of Bridge Expansion Joint.It was put on the market at the beginning of the ninth decade of last century.This type of expansion joint has been proved to the most advanced and reliable bridge expansion joint by continual improvement and use in more tahn ten years.J.S Brown have many years experience for produce Bridge Expansion Joints.We can supply large movement bridge expansion joints. (1)This type of joint is capable of satisfying the requirements of large-angle rotation in all the directors. (2)The control configuration of this joint adopts the principal of four-connecting rod.Thus ensure spaces between beams of the joint are equalization in spite of large displacement. (3)This type of joint can supply transverse rigidity suppoting for center beams.The particular performance of this joint improves life very much. (4)Dismantling several center beams simultaneously shall not influence control configuration of this joint.That is to say if the center beam is broken and need replacing the whole piece,you can have the heavy repair dispense with closing traffic. (5)Life of the main parts of this joints more than 50 years,and life of the part that can not be replaced is more than 100 years. Modular Expansion Joints are classified as D160-D1280 by displacement of 80mm. Looking for ideal Girder Grid Type Expansion Joint Manufacturer & supplier ? We have a wide selection at great prices to help you get creative. All the Swivel-Joist Expansion Joints are quality guaranteed. 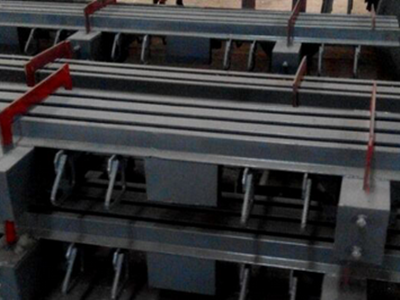 We are China Origin Factory of Large Movement Bridge Expansion Joints. If you have any question, please feel free to contact us.